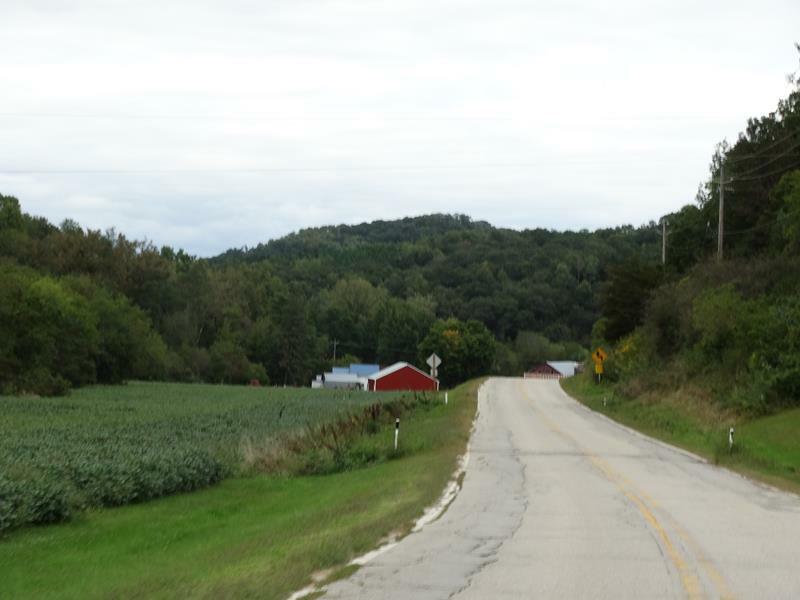 Quickie Summary: State “Trunk” Highway 108 is a short but very scenic ride through Wisconsin’s “Driftless Area.” Recently re-routed, the original Highway 108 is what we follow! A popular motorcycle ride as well as drive or bike ride, Highway 108 is best known for the “Mindoro Cut”, which cuts through a particularly beautiful area where the highway twists, turns and zigzags. 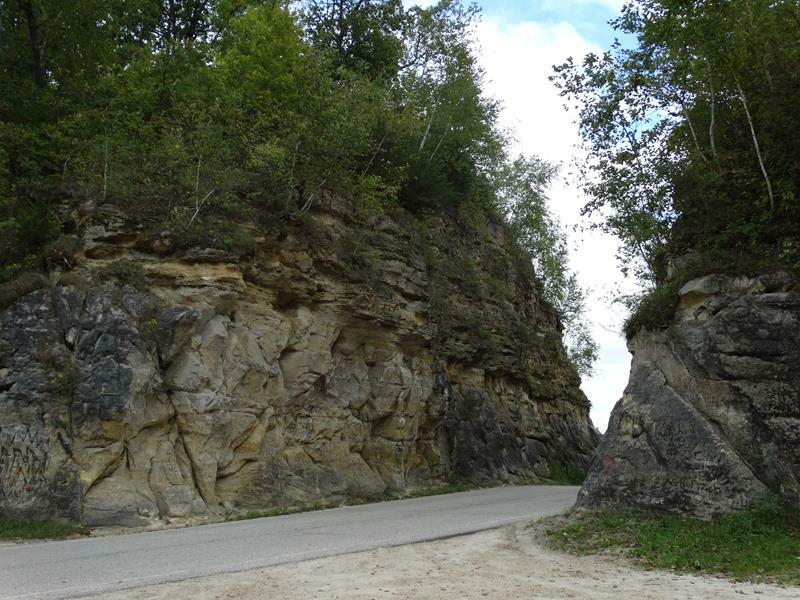 Highway 108 has essentially been the same route since 1919…why mess with such a great drive? 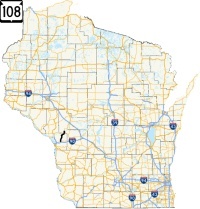 The Drive (South to North): Highway 108 begins at Highway 16 about six miles northeast of the outskirts of La Crosse in West Salem (pop. 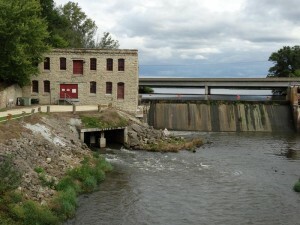 4,837), home of Pulitzer-prize winning author Hamlin Garland, the La Crosse Fairgrounds and Speedway, and two octagon-shaped houses – one of which is Garland’s homestead. From Highway 16, Highway 108 heads north, past an “old” section of Highway 16 featuring a bridge from 1926, and zigzags north a bit through La Crosse County along part of Eggins Coulee. 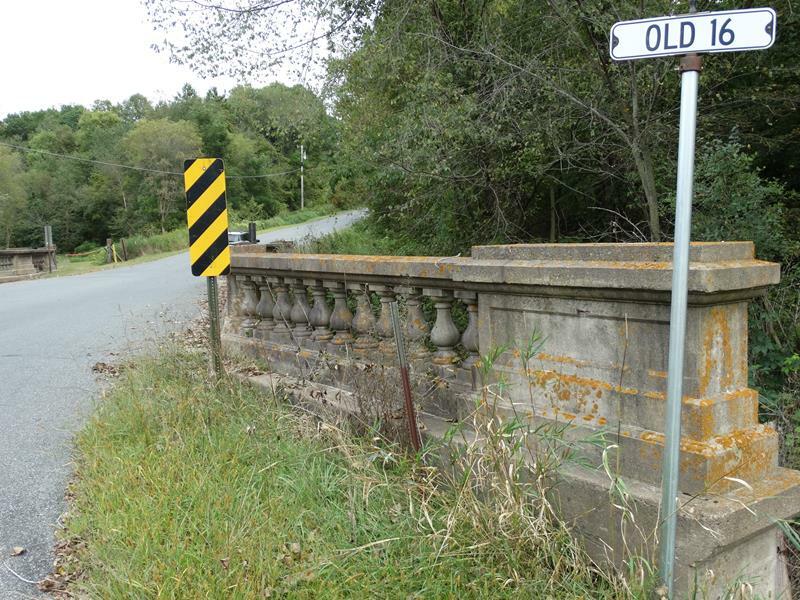 We love these old bridges. 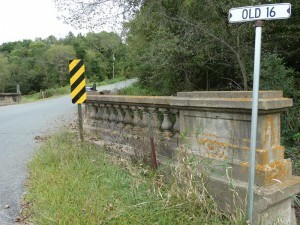 Along Highway 108, the original 16 route is still marked, heading across a creek on a bridge originally constructed in 1926 – and left practically unchanged since. This is just north of New Salem. 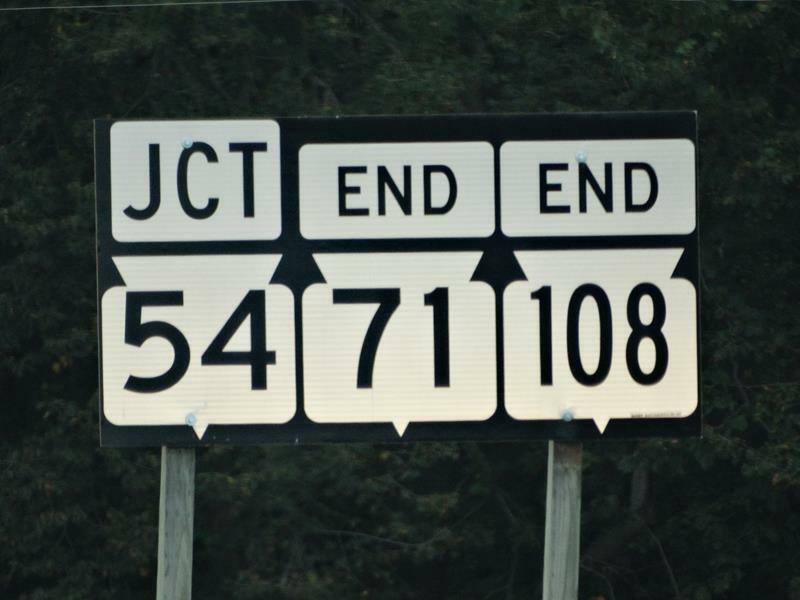 Now here’s the deal: in 2017, Highway 108 was “swapped” with County C, so now the great route 108 originally followed is County C. So let’s follow that still! 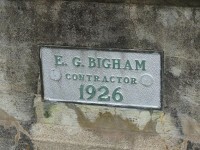 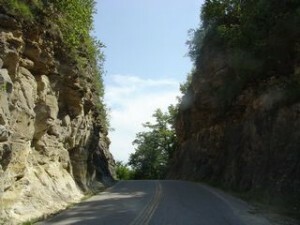 So the rest follows the “Historic” Highway 108. 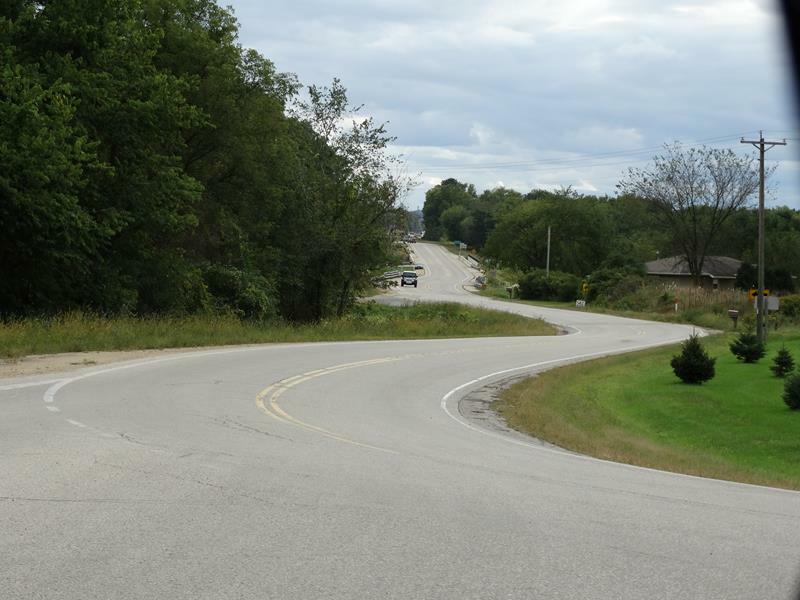 The original Highway 108/County C is anything but a straightaway for most of its length. 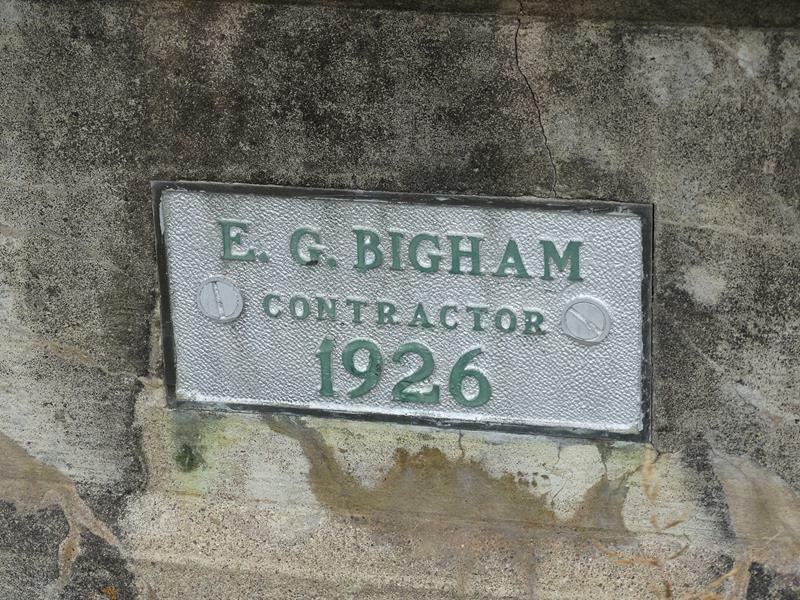 Might be one reason for the 2017 switch. The main feature along Historic Highway 108/County C is the Mindoro Cut, a passage hand-cut through rock back in 1908. It began when the townspeople of Mindoro wanted to create a short cut to their nearest big city, La Crosse. 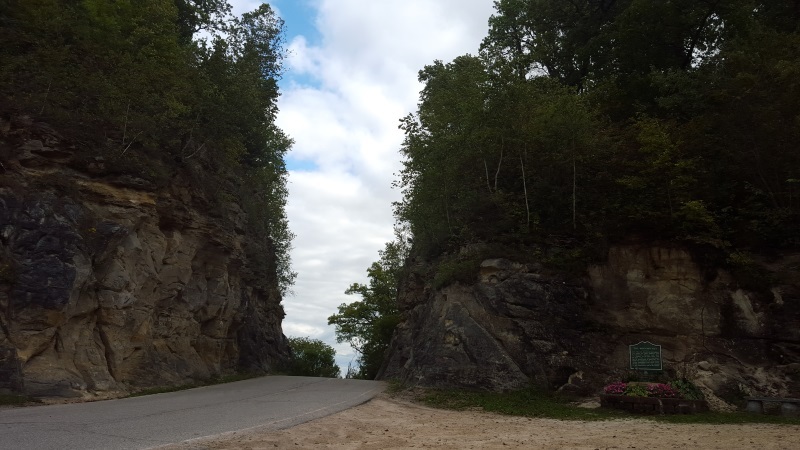 While the rock proved harder to chip, ax and slice through than they anticipated, they eventually got their short cut – and then they probably rested for several years because that sounds like pretty exhausting work if it’s done by hand. 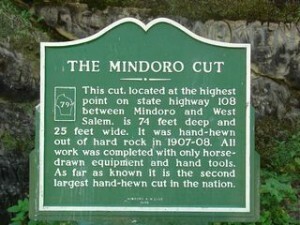 The historic marker for the Mindoro Cut pretty much gives all the handy details: hand-cut, 74 feet deep, 25 feet wide, and the second-largest hand-hewn cut in the nation. The winding drive on either side is an adventure in itself! In tiny Mindoro, you can check out the Bell Coulee Shelter, a prehistoric rock shelter that was inhabited by people in the cave-dwelling days. 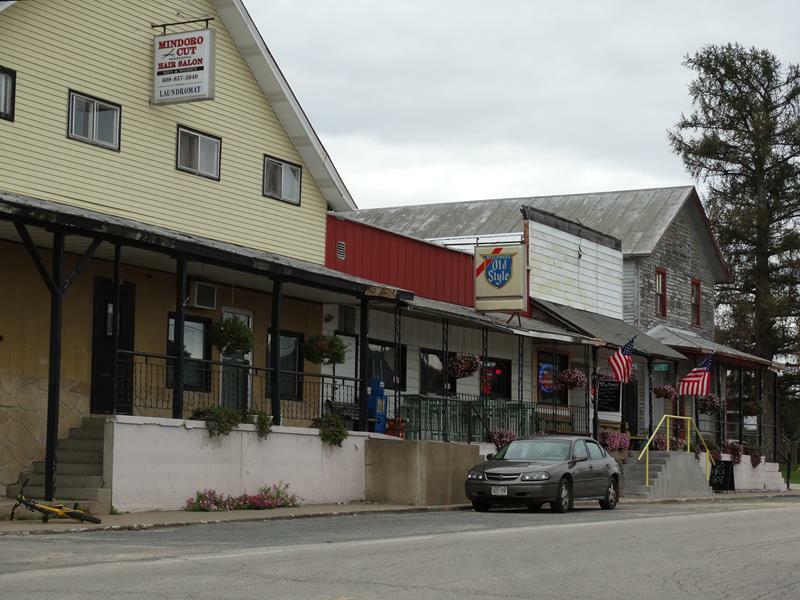 It’s a popular site with anthropologists, archeologists and others who marvel at people who didn’t have cell phones, DVR or iPads. Past Burr Oak, Historic Highway 108 and current Highway 108 (via County C) heads into Jackson County and hooks up Highway 71, which comes in from Sparta. 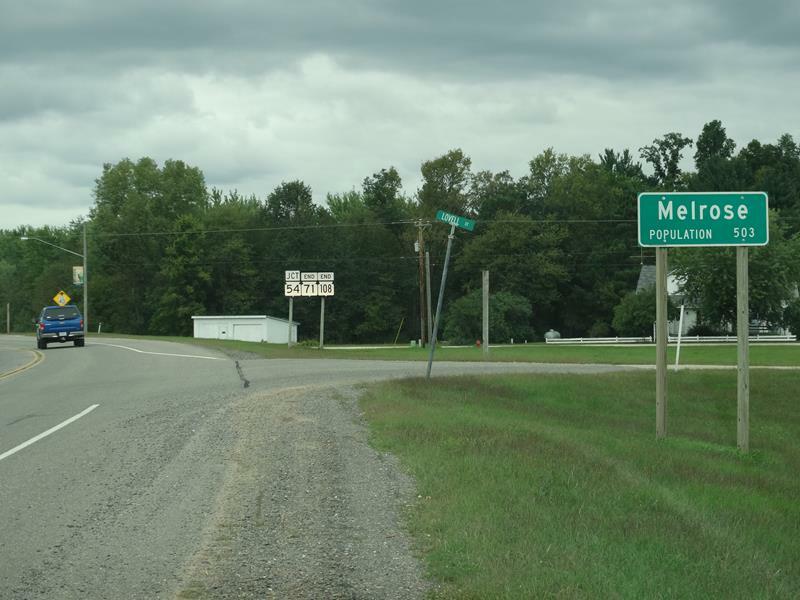 After crossing the Black River, the two highways combine for the ride to the northern end, at a junction with Highway 54 approaching tiny Melrose (pop. 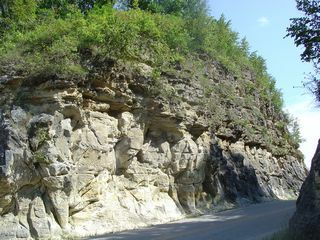 503). 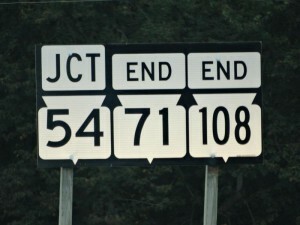 You can use 54 to head west toward Winona, Minnesota, or northeast toward Black River Falls. 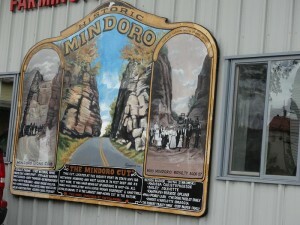 Or head back through the Mindoro Cut; it’s just as fun the second time!